Mixed and Mastered May and September 2007 by Falco Duczmal. Liner notes: Ulrich Stock, Cover art: Marion Stille. Photo: THEO. Graphic design: Jonas Schoder. Musik ist eine Kunst des Moments, improvisierte zumal, gleichwohl kann sie Geschichte schreiben wie die von Doppelmoppel. 25 Jahre alt ist das höchst ungewöhnlichen Quartetts aus zwei Gitarren und zwei Posaunen. Wer hätte 1982 gedacht, dass diese Besetzung von solcher Dauer wäre? Die Ad-Hoc-Band, die nach Lust und Laune immer wieder zusammenfindet, sollte sogar den Staat überleben, dem sie entsprang. 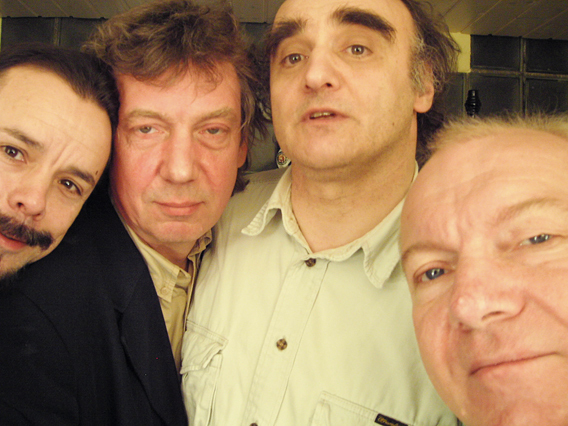 Music is an art of the moment, improvised music in particular, nonetheless it can make history as is the case with Doppelmoppel. The first record of this highly unusual quartet consisting of two guitars and two trombones is 25 years old. Who would have thought, upon its release in 1982, that this line-up would last for so long? That the ad hoc band, that gets together whenever it feels like it, would even outlive the state from which it originated. 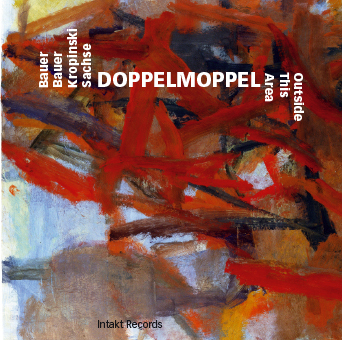 This third CD of Doppelmoppel was recorded 2007 in the East-Berlin Sound Studio of the German Filmorchester Babelberg: Outside This Area with eleven marvelous walks outdoors.With Doppelmoppel so much has happened and continues to happen against all expectations, that the listener can rely only on the music as dependable factor. And how nice that is! When Art transcends the Moment, reminding the future of its existence, beyond any questions of system or territory, Now just as Then.